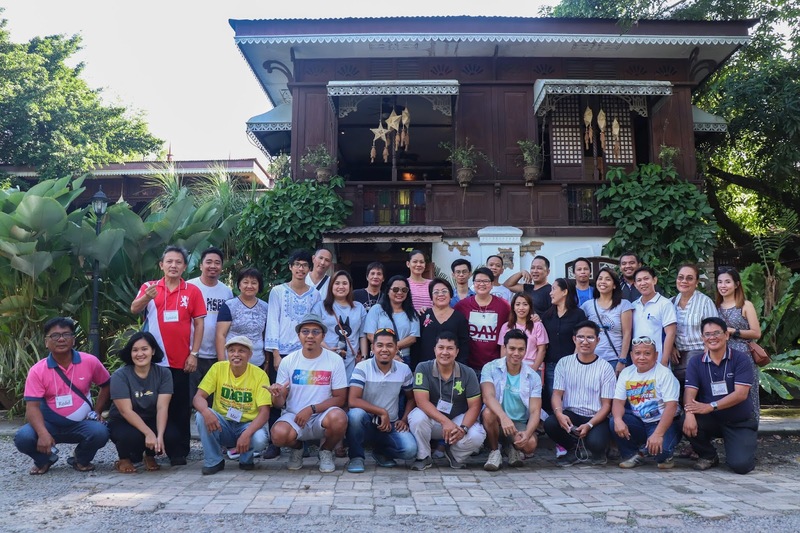 The National Commission for Culture and the Arts (NCAA) in partnership with the Philippine Information Agency (PIA) launched a 4-Day Heritage Caravan featuring the Calabarzon region held last November 15-18, 2018. It's a promotion tour that showcase cultural sites in Calabarzon ranging from historical towns, homegrown industries, museums of national artists, a renowned festival, including a tour of traditional Filipino culture and I'm so lucky to be one of the media representatives from Region III. We started our 1st day with a courtesy visit to PIA Region III office wherein we met the Regional Director, Mr. William Beltran who gives us pointers on what to expect on this 4-day event. After the quick meeting, we had an early lunch at their office and we immediately traveled to Laguna to meet PIA Region 4A Director Maria Cristina C. Arzadon. It's already 6:30 PM when we arrived at Sulyap Boutique Hotel - our home for 2 nights. The place has several ancestral houses with rooms which can be rented out with bed and breakfast set in a spacious garden. I will be sharing more about this hotel soon! Upon arriving, we headed to our room and took a quick rest then we had a welcome dinner with PIA and NCCA officers, bloggers, and media practitioners. They served us some famous Filipino cuisines like pancit molo soup, fern salad, bistek tagalog, Kare-Kare, and their specialty, kulawong puso ng saging. During the dinner, we also had a lambanog wine tasting initiated by Quezon Provincial Tourism Officer Jun Bay. The next day, we had our breakfast at Sulyap Restaurant. I'm with Sir Mar jay of PIA Region III and my blogger friends Will, and Jan (My travel companion during the whole trip) They ordered Beefsilog and Bangsilog for breakfast, but since I'm not used to eating rice in the morning, I ordered the American style breakfast. 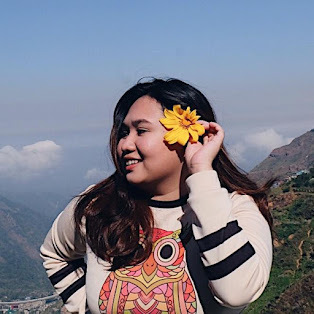 To start our tour, we traveled to Tiaong, Quezon to visit Villa Escudero Plantations and Resort where in I was able to try the Carabao Cart Ride, had a sumptuous lunch while my feet is submerged in the waterfalls, watched a cultural presentation, and a lot more! 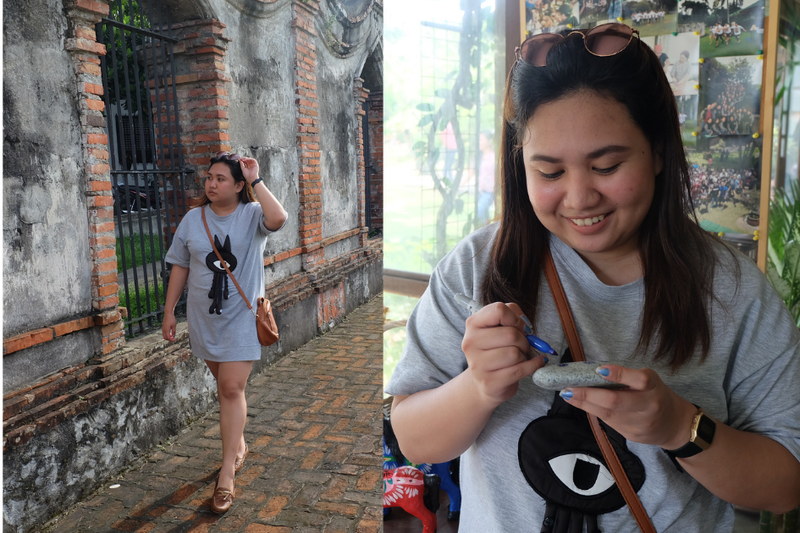 You can check my detailed blog post about our tour in Villa Escudero here. After the countryside experience at Villa Escudero, we went back to Laguna and we visited one of the famous churches in the area, the St. John the Baptist Church (San Juan Bautista Church) located in Liliw, Laguna which is known to be the tsinelas capital for it produces quality and durable footwear. Look at that giant sandal displayed outside! There are lots of store to choose from! I was able to buy a pair of sandals for only 85php. For our dinner, we went back to our hotel (Sulyap) and we had a dinner buffet at Casa San Juan (Still part of Sulyap) where in we met the owner, Mr. Rey P. Empalmado. We had a chance to interview him and asked some questions regarding the hotel and his antique collections because it seems like everyone is curious where it all started. He is truly an inspiration! He was able to preserved the culture thru the effort of restoring old houses and encouraging the young to learn how to look back with how our ancestors live in the past and appreciate more our culture. For our 3rd day, we all had an American Style Breakfast at Sulyap Restaurant. Since we woke up late that day, we had to move fast to fix our things because it was our last stay at the hotel. Day 3 was quite exhausting because we visited a lot of historical places in Quezon and Laguna. 1st stop is the Ugu Bigyan Pottery and we met the famous potter in the country, Mr. Augusto "Ugu" Bigyan. He opened his home and garden to the public with an art gallery, workshop studio, and restaurant. The clay minerals that are being used were sourced from Thailand and his works are displayed in different resorts, hotels, restaurants and houses of prominent personalities. Will share more about this story soon! After our lunch at Casa San Pablo, we went to Nagcarlan Underground Cemetery. This Underground Cemetery has circular wall structure with iron-gate to the red-tiled wherein the tombstones are embedded on the brick walls. It’s the only underground cemetery in the country and its one of the national landmarks. Then we went to Paete Laguna. It is famous for wood carved items such as statues, images, intricate furniture and other products. The image of the Crucified Christ found in St.Peter’s Basilica in Rome was also made here. They are also know to be maker of paper mache products which are usually home decorations during yuletide season. 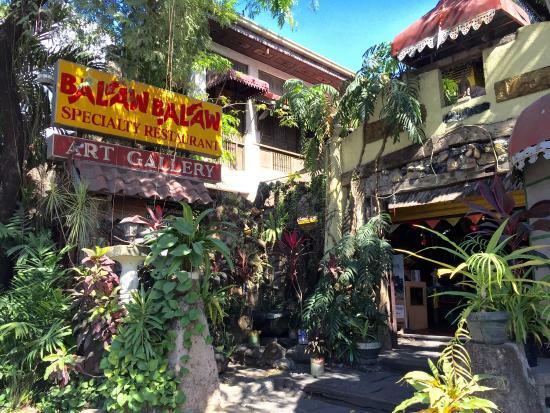 Before checking-in at Thunderbird Resort, we dropped by at Balaw-Balaw Restaurant and Art Gallery in Angono, Rizal to have some dinner.The restaurant is founded by Pedro Vocalan, an apprentice of National Artist Carlos “Botong” Francisco. The restaurant has a museum of folk arts and art gallery. He is a visual artist and chef that explains the restaurant with a museum and art gallery. After the Parade, we went to see the Angono Petroglyphs. You need to pass a man made tunnel to reach the site. The Angono Petroglyphs is a recent archeological breakthrough during the 80’s found in the mountainside of Angono and Binangonan by Carlo “Botong” Francisco. It represents the oldest rock art in the Philippines which is unique in being executed with a deep engraving technique. In the cave, you will see the different carvings of the tribes settling in this cavern. It is said to be the oldest, known art carvings found in caves in the Philippines dated approximately 1000 years B.C. We also visited the house/museum of our national artist, Carlos "Botong" Francisco. The people of Angono gives tribute to his works by a mural depicting his paintings located at the Brgy. Poblacion Itaas. It is the real heritage walk to view the different murals inspired by the paintings of Botong. No doubt, our country is rich in Heritage, Culture and Arts! It's a privileged for me to be part of this event organized by PIA and NCCA. Special thanks to PIA Region III for choosing me to be one of the media representatives in our region.